Description: Create big, beautiful bows with one easy step! 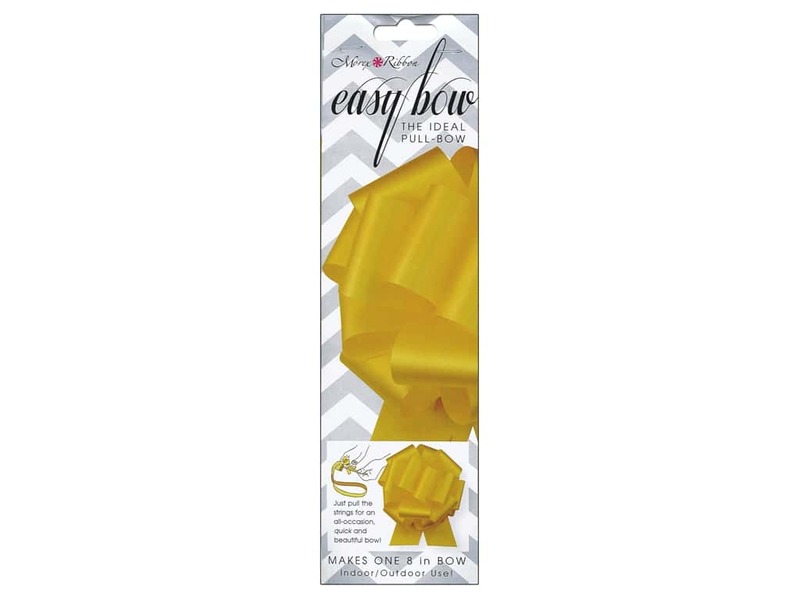 Morex's Easy Bow makes it possible for anybody to quickly make fabulous bows in seconds. A gorgeous finishing touch to any gift or package. 100% polypropylene, for indoor and outdoor use. Ribbon is 2 1/2 inch wide. Makes one pull bow that is 8 inch in diameter. Yellow. See more Morex Easy Bow.